T-Systems and Microsoft form Strategic Partnership to empower customers for their digital business transformation. Strategic Partners for the Public Cloud. T-Systems and Microsoft join into a strategic partnership to push Public Cloud services focusing on four pillars: SAP applications, managed services on Microsoft Azure and Microsoft 365, digital solutions fueled by artificial intelligence (AI) and mixed reality and Internet of Things (IoT). 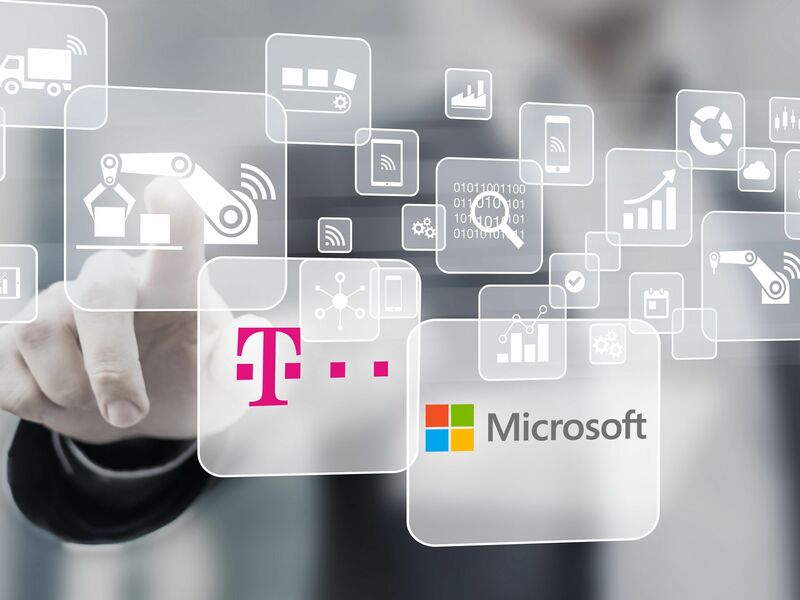 In a first step, both companies will intensify their cooperation in the field of IoT, Deutsche Telekom board member and T Systems CEO Adel Al-Saleh and Microsoft Executive Vice President Jean-Philippe Courtois announced at the Hannover Messe (Hanover Fair) on Monday. The first area of collaboration is IoT: Choosing Azure as the preferred cloud platform T Systems develops and operates the “Cloud of Things – built on Azure”. The solution offers preconfigured IoT services "out of the box" such as remote monitoring for logistics, after sales solutions in the automotive and track & trace solutions. The open and modular architecture is based on Microsoft Azure IoT services and ensures efficient adaptation and flexible extension of the platform. All features required to build an IoT solution, such as device and user management, rules engine, event management, simulation, analytics and configurable dashboards are directly available and can be customized according to customer requirements. The open architecture allows additional services, devices and machines to be integrated so that companies can easily and efficiently build complete end-to-end solutions. Microsoft Azure enables companies to achieve global scale with 50 announced Azure regions – more than any other cloud provider. Microsoft continues to prioritize geographic expansion of Azure in response to customer demand to address the needs of some of the world’s leading industries and organizations in terms of high performance and availability, local regulatory requirements, and customer preferences regarding data location. Cloud services are becoming increasingly important in the solutions business for large customers. Companies are moving more and more applications to the cloud to take advantage of fast scalability, efficiency and lower costs. T Systems supports its customers with managed services for infrastructure, platforms and applications from the cloud so that they can concentrate on their core business.